Do you think I'm a good tank designer? 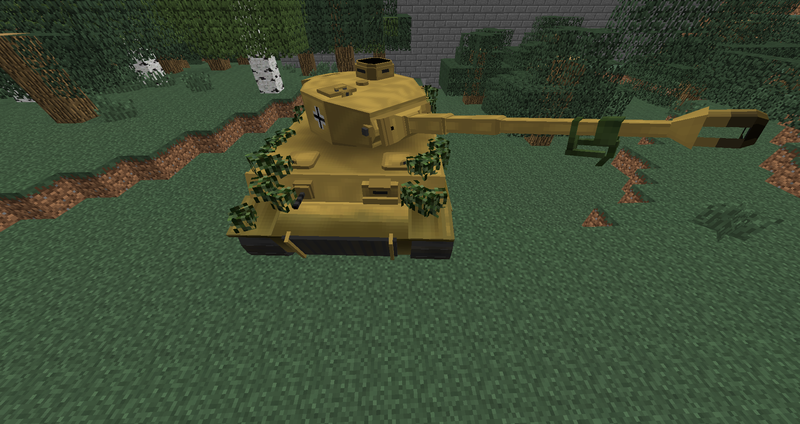 I have a video of my tanks I designed on Minecraft, and Also have a sketch of a German Super Heavy Tank. Anyone feeling like critiquing? Live The Real World, Do Not Live Politically Correct. If The Truth hurts, Deal With It. Great preview of the upcoming Minecraft tech tree! I can't wait to get my hands on that tier X TD with three high caliber guns. A Tank where you can either put a 19 or 21cm gun on. Most armored tank in the game with 250mm of frontal armor, slopped. 200mm on the sides and rear. Same with the Turret. For some reason, I'm having trouble uploading it here, So here's a link to my Steam where I uploaded artwork there. Here's the Link. I'm seeing a new "special" game mode being introduced, OP should design some minecraft bipedal gun platforms and alien space ships at the same time. Also reminds me of a mod i used to play, Flan's mod i think it was. Included pretty good models which you could drive around and fire the cannons. Good times! Game Community → English Speaking Community → Forum → Community Central → Community Creations and Stories → Dante Zanon's Progetto - time to replace Luigi with Mario?